Happy Tuesday, loves--and a warm welcome to the new month! 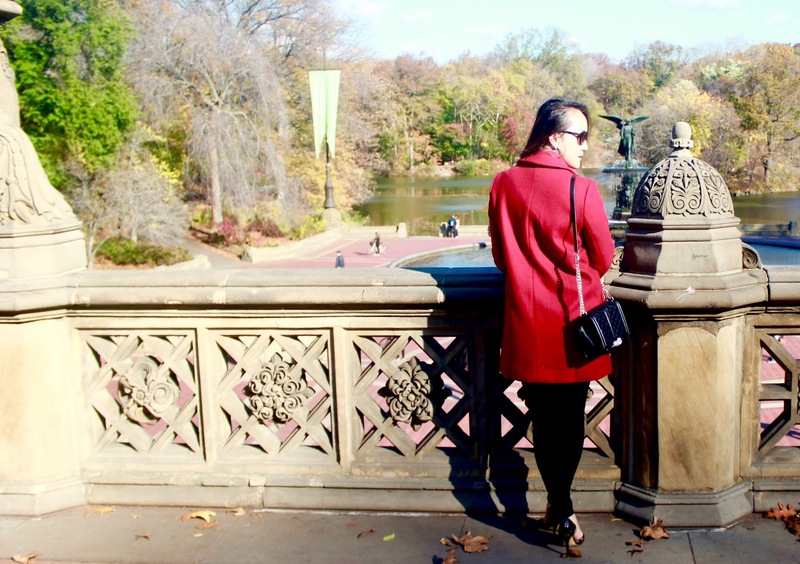 Holiday decor and planning will be in full swing now that it's officially December...but I'm still reminiscing of autumn in the city. 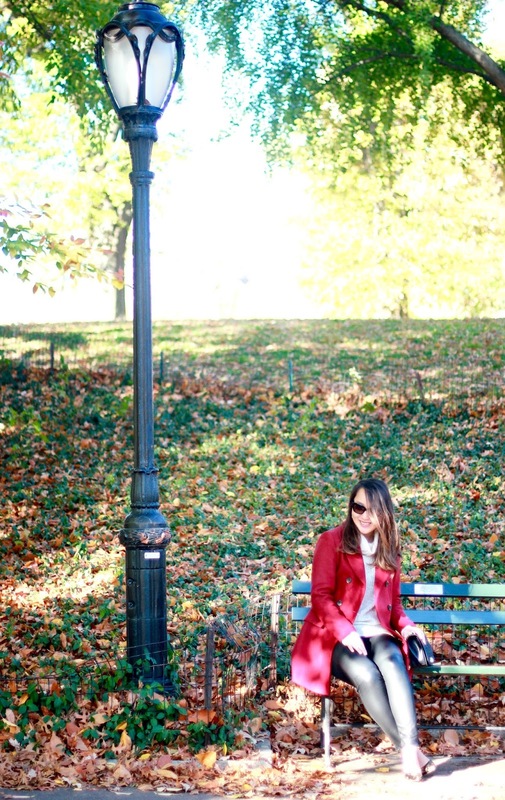 A little fall farewell today, with a stroll through Central Park from a couple of weeks ago. 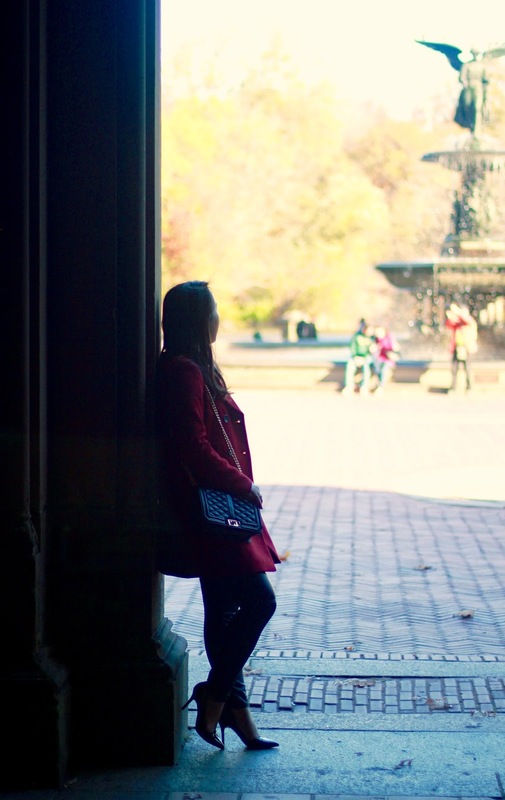 This was the first chance I'd gotten to visit Central Park during the fall time, and oh my god. It was absolutely breathtaking. Whenever I think of fall and fall style, my mind immediately goes to that statement overcoat. 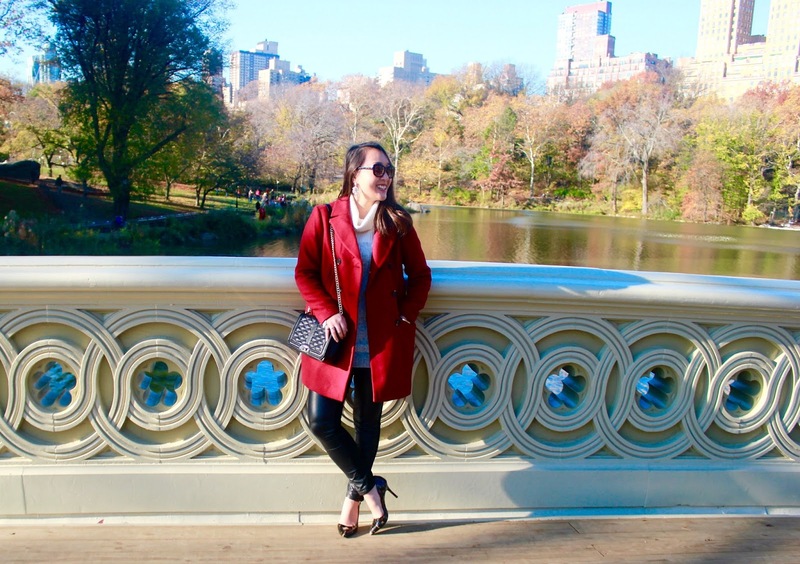 Cold weather fashion is all about that perfect statement outerwear piece, and I must say, I'm guilty of purchasing several coats with each new winter season. 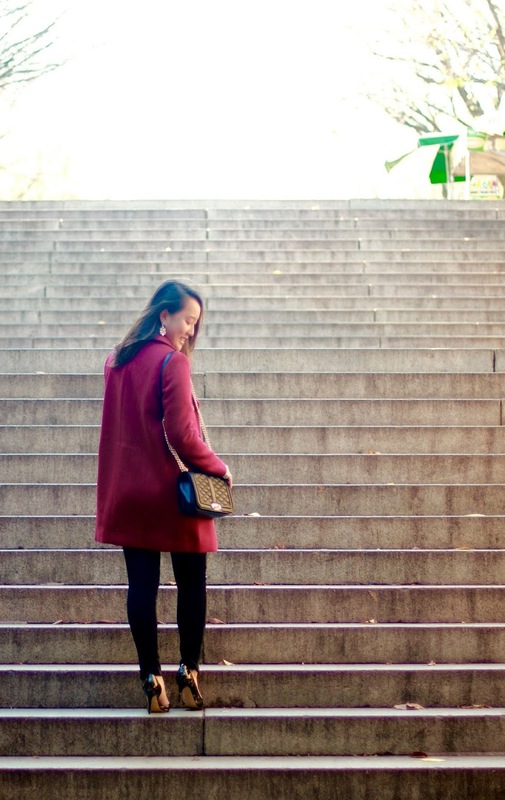 >.< It wasn't until a couple of weeks ago though that I finally found that perfect classic red peacoat. I love how this particular coat has an oversized design, perfect for layering up underneath without feeling too bulky. 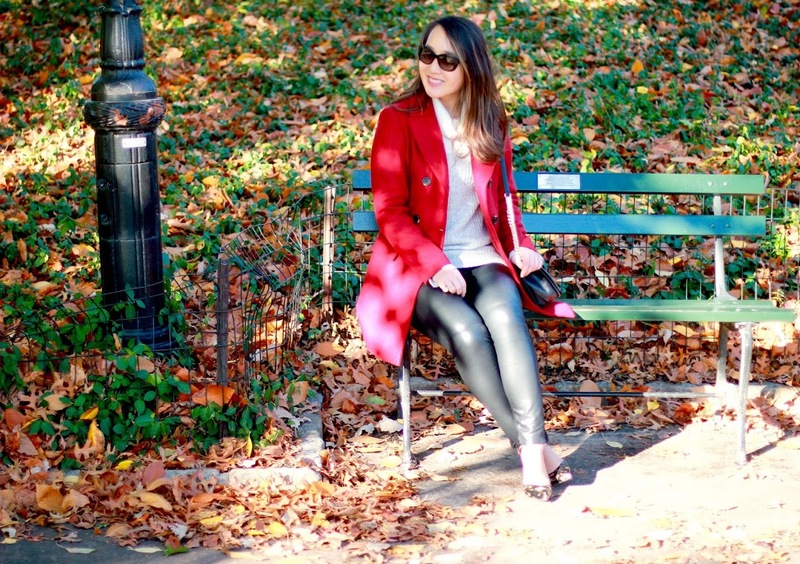 Can't wait to restyle this coat for the holidays as well! I've come to see the Bestheda from the very first year I started living in Manhattan. I'd always wanted to visit, half in part of that scene from Gossip Girl where Serena and Blair have their heart to heart and make up. The other half of me wanted to be a part of the incredible beauty of Bethesda plaza and every time I find myself back there, I'm always in awe and silent appreciation. The fountain never fails to inspire and every visit back reminds me that great things were not built in one day, but through dedication and discipline.